Whew..I’ve been tryin to bake the “perfect” loaf for 2 weeks, about every other day I would try again. Yeast is very tricky but well worth the end result! I have the texture I’m lookin for but can’t seem to get the color, I don’t know if I’m scared to leave it in that long after it’s finished or somethin I’m doin wrong. However, I’m pretty confident that every time I bake a loaf I get closer and closer to the “perfect” loaf. 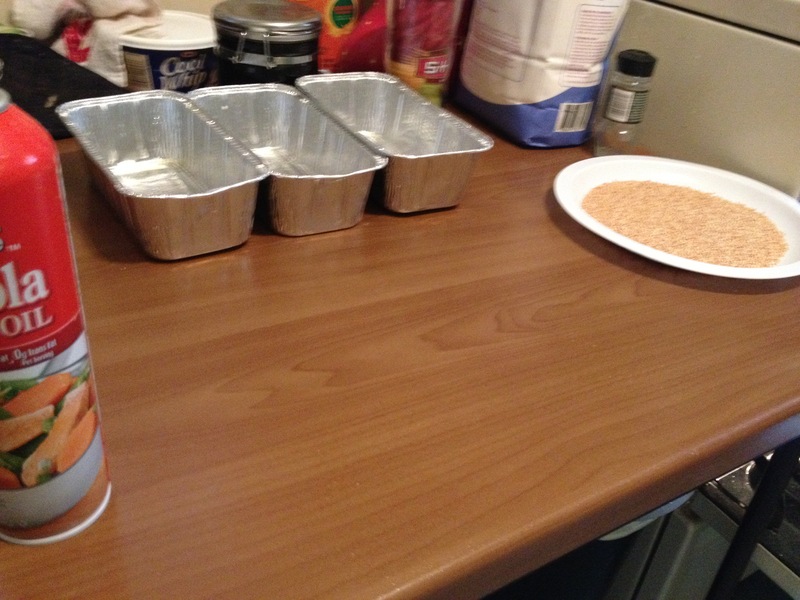 Join me as I take you on my journey of trial and error on bread bakin. Non-stick spray, pans, TBSP, TSP, liquid measuring cup, pot holder, salt, sugar, yeast, flour, mixing device, mixing bowl, and lukewarm water. Don’t forget your daily dose of coffee 😀 and good music to help pass the time..
Any ways.. I will be showin you how to make a double batch. Dependin on your shape and size depends on how much it will yield. 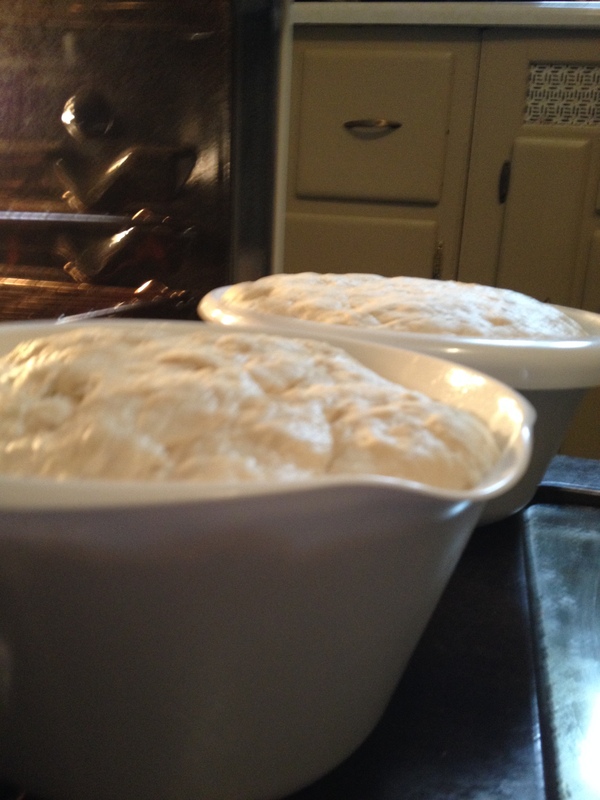 I’m making a couple 9″ round loaves and some regular shaped 8″ bread pan. It can yield 6 nice sized loaves, or 3 french bread sized. 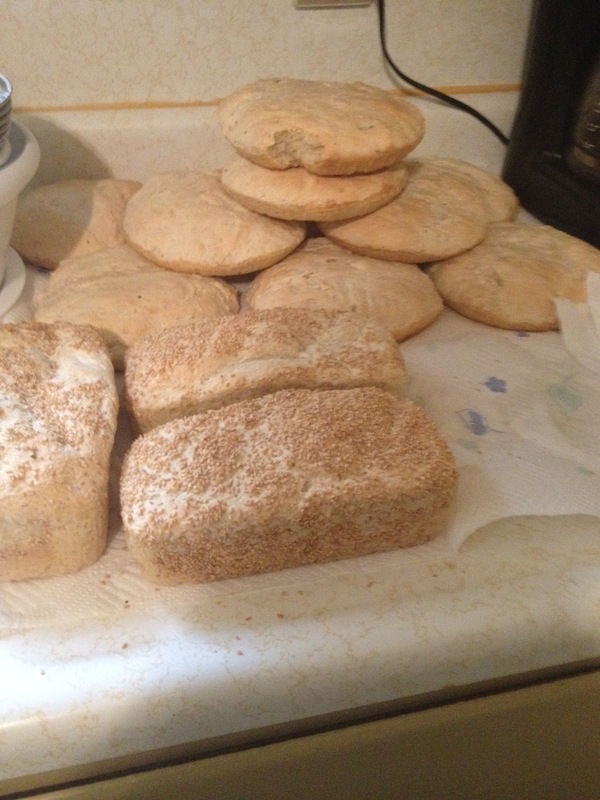 I was off today and decided I would make 5 batches of bread. I got 21 loaves out of it and split it between my mom, sister-in-law & family, and my brother & family. I also played around a lil bit and make some sesame and cinnamon loaves. 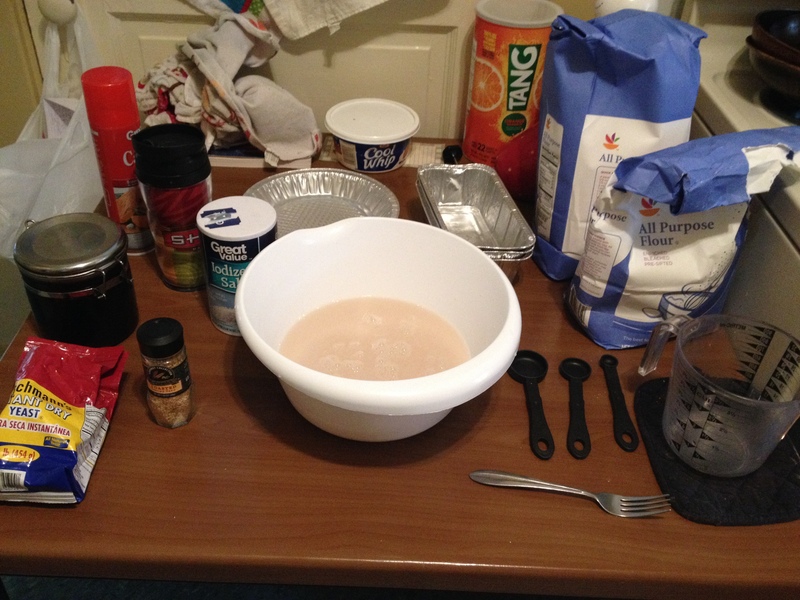 Back on subject, add 4 cups of lukewarm water into mixing bowl. 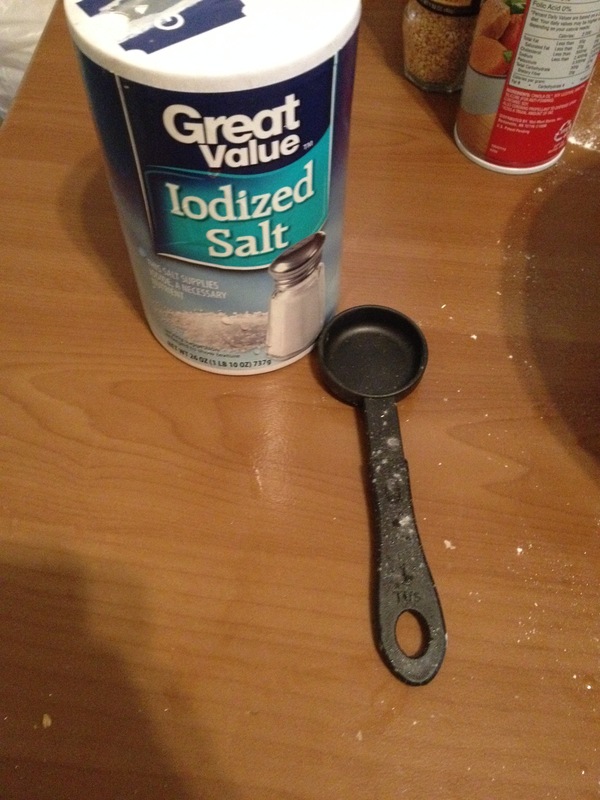 Add 4 tsp. 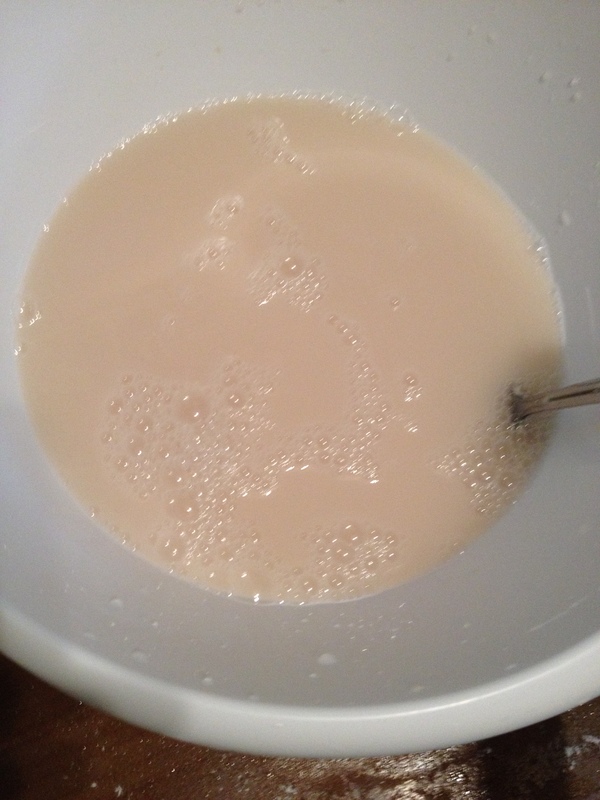 and 1/2 tsp of yeast and stir until dissolved. Dependin on what kind of yeast you have (active, instant, live) depends on how you need to activate the yeast. 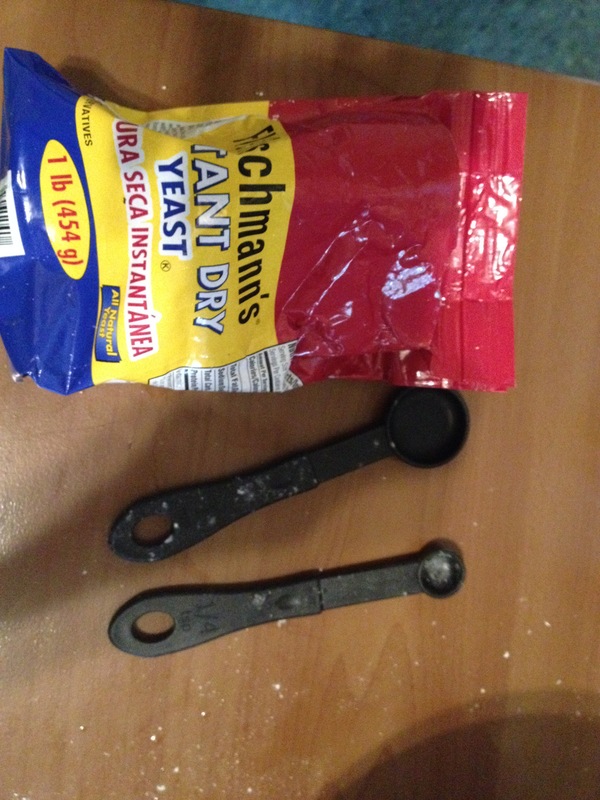 The instant yeast I’m usin here you can add into your flour and mix with warm liquids to activate the yeast. I am used to activatin my yeast in the steps I am listin below. 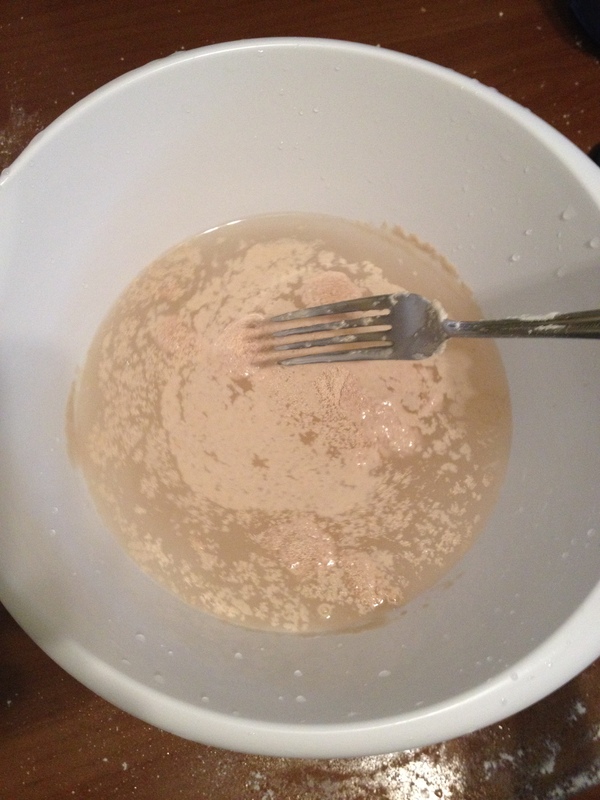 The sugar is what allows the yeast to become active. Make sure to read what kind you have. 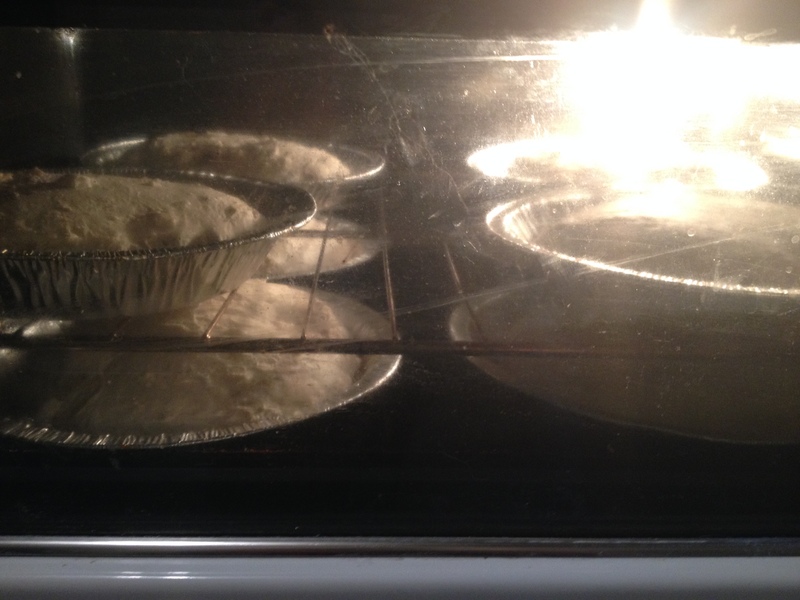 Next, you will need to add 6-10 cups of all-purpose flour. Yes, you can substitute with whole wheat flours. You want the dough to remain in tack without crumblin apart. 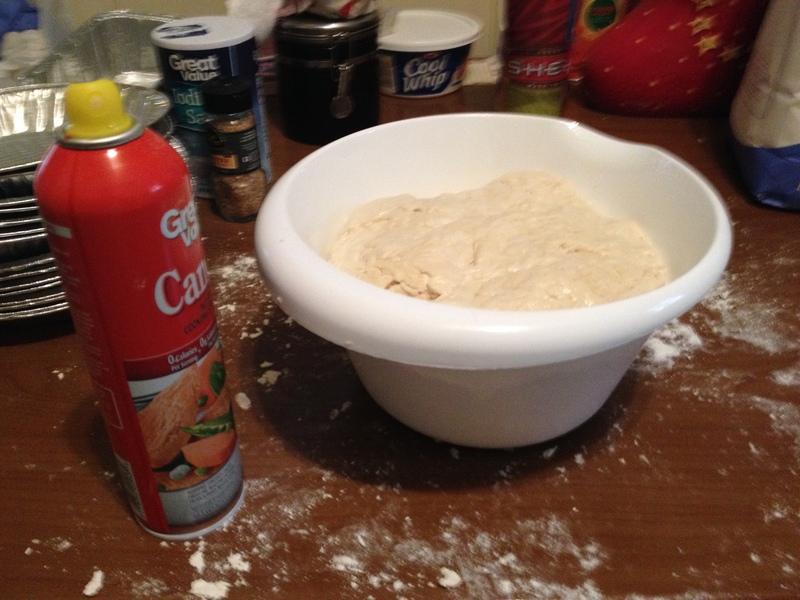 When you get enough flour in it to knead the dough you will want to spray your work area and your hands with non-stick spray and only use flour as needed in sticky situations, lol. 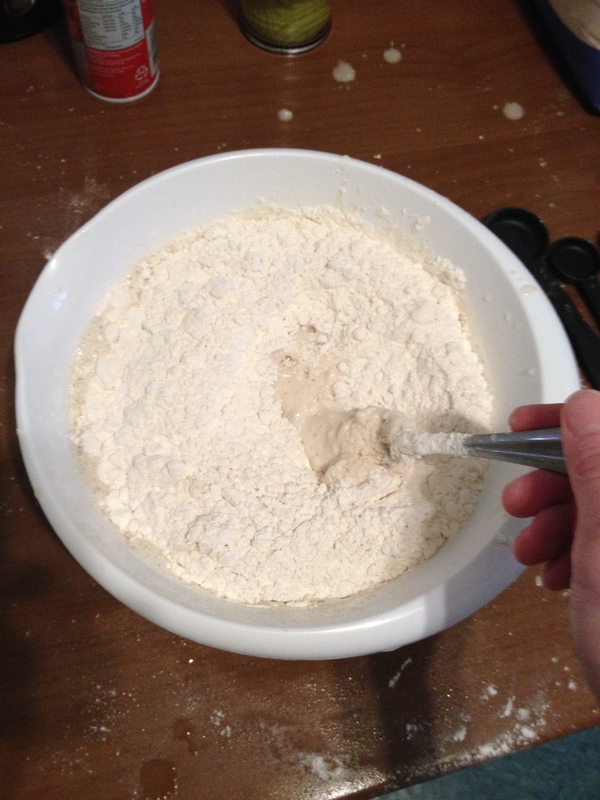 Sometimes the middle isn’t getting enough flour when it’s still in the bowl so as your kneading the dough you will find sticky batches, add flour there. Continue to knead the dough for about 5 mins. 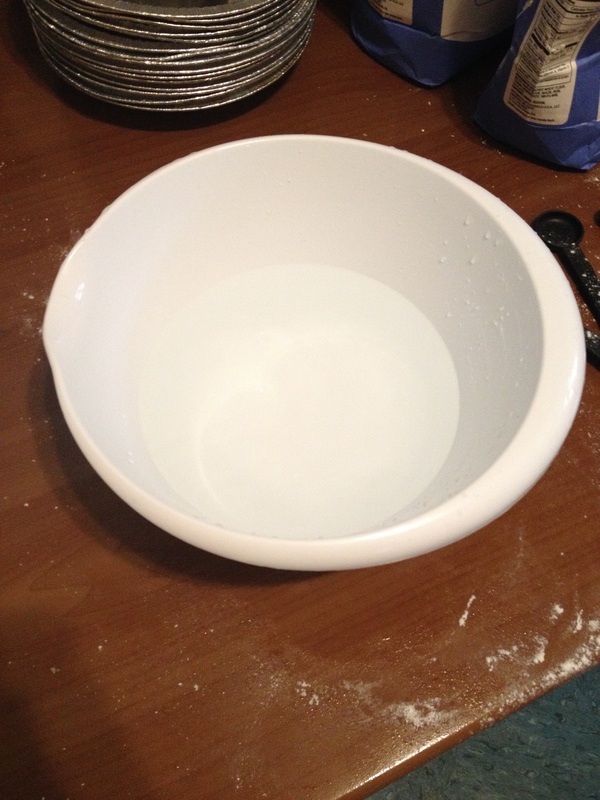 Before you put the dough back in the mixin bowl you will need to spray the bowl. 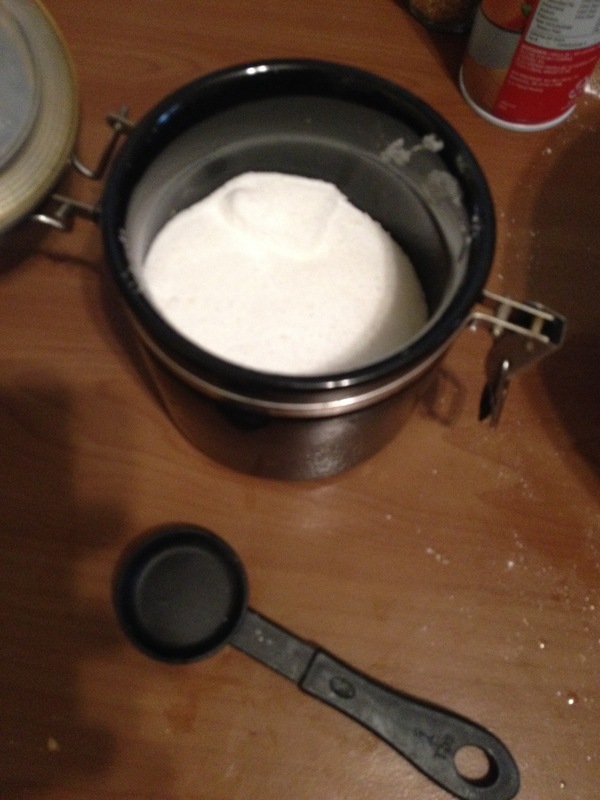 Put the dough back in the bowl and flip it so the now greased part is on the top. 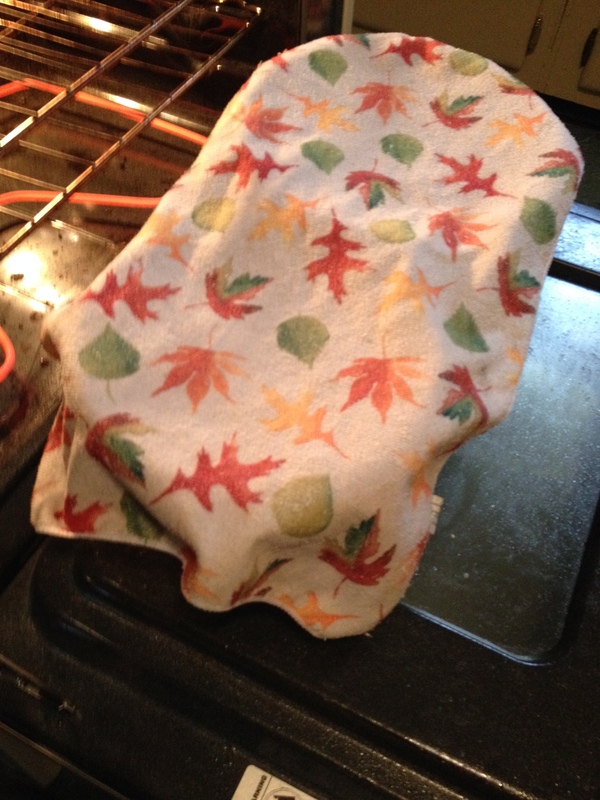 Cover it with a clean dish towel and let proof for about 1-1/2 hrs or until doubled in size. Make sure your room is at least 75 F for best proofin, I turn my oven on 350 F and set bowl on door. Now is when good music comes in handy, you can dance the time away..also helps you stay in shape. 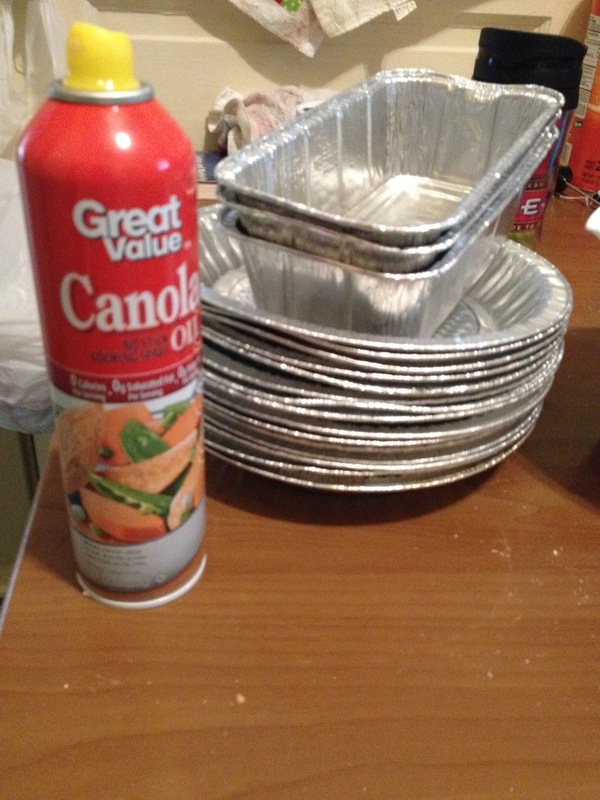 Don’t forget to spray your pans ahead of time. Get your work area ready again by sprayin it with non-stick spray in advance. Time to check the dough. 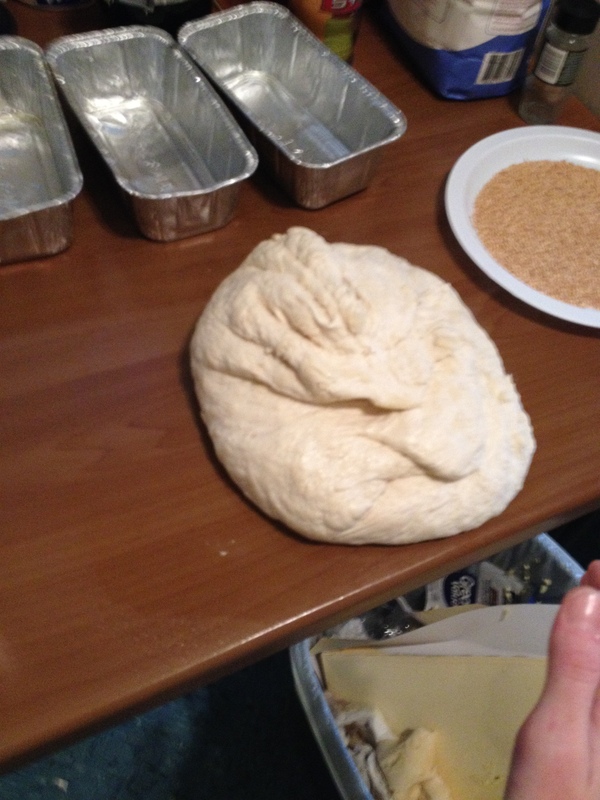 And it has doubled in size…Now its time to take our anger out..spray them hands and punch that dough down! Let’s split the dough, be creative..if you want french bread make a 6″ log and make 3 cuts in it, to make dinner rolls make 1″ balls, if you want to make bagels just accidentally put extra flour in the dough and simply cut out 3″ circles and a 1″ middle. However, I tried out sesame seeds on top. Just lay out the seeds on a plate and place dough of top of seeds to coat the dough and place that side up in pan. 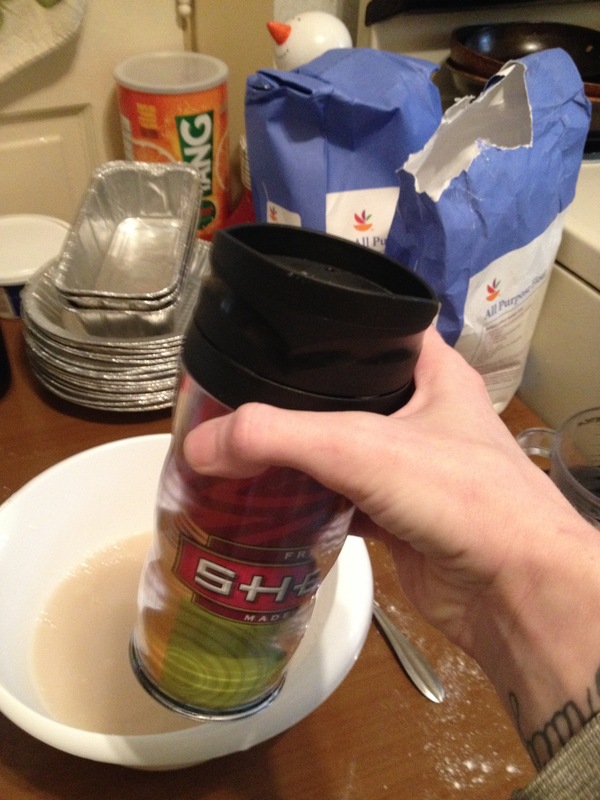 Otherwise flip the dough to the greased size up again. One more waitin period for the last proofin stage. Only a short 30-60 mins or until doubled in size. Bake breads at 400 F for about 20-30 mins dependin on size. Rotate breads around in the oven about half way thru cookin time. 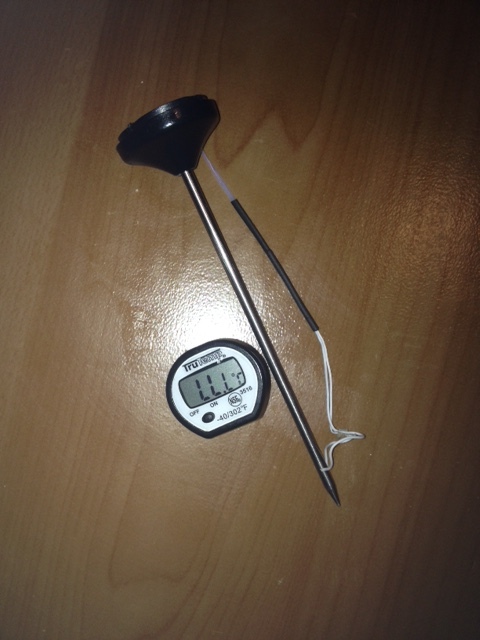 I rotate mine every 10 mins to try to equal out the cookin. 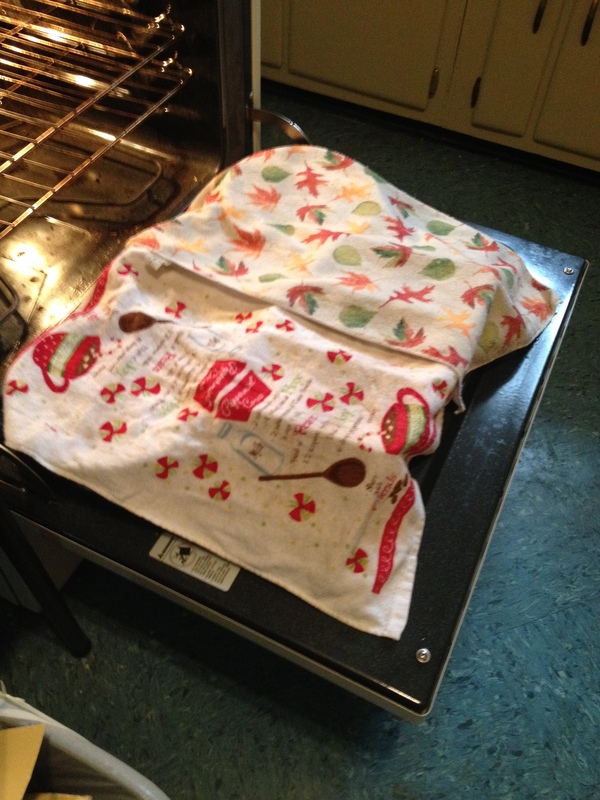 Flip the bread out of the hot pans immediately after removin them from the oven, the bottoms will get soggy. Let cool at least 5 mins before you cut into them, bread is definitely best when hot and smothered in butter..mMmM.. I tried out somethin new. My Hubby had an amazin idea with cinnamon bread. 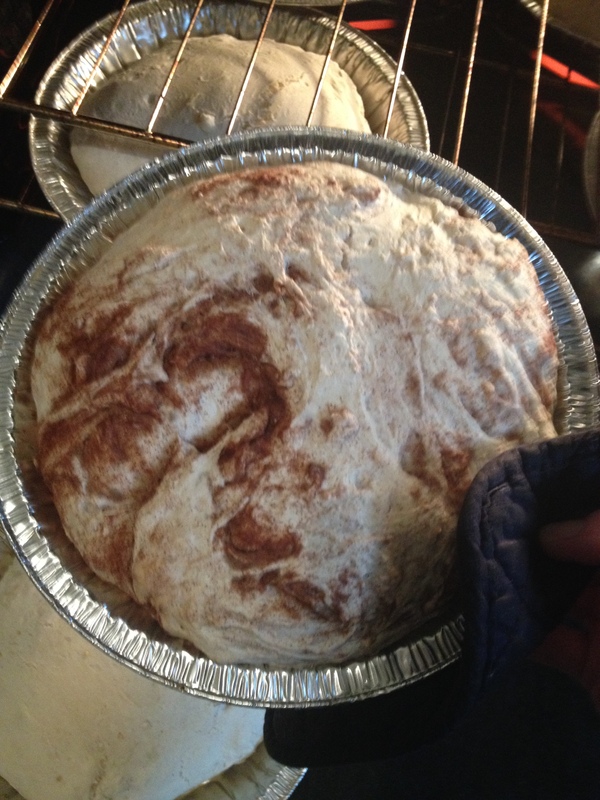 When shapin the bread I simply pressed the dough out and sprinkled 1/8 cup of cinnamon sugar on the dough. 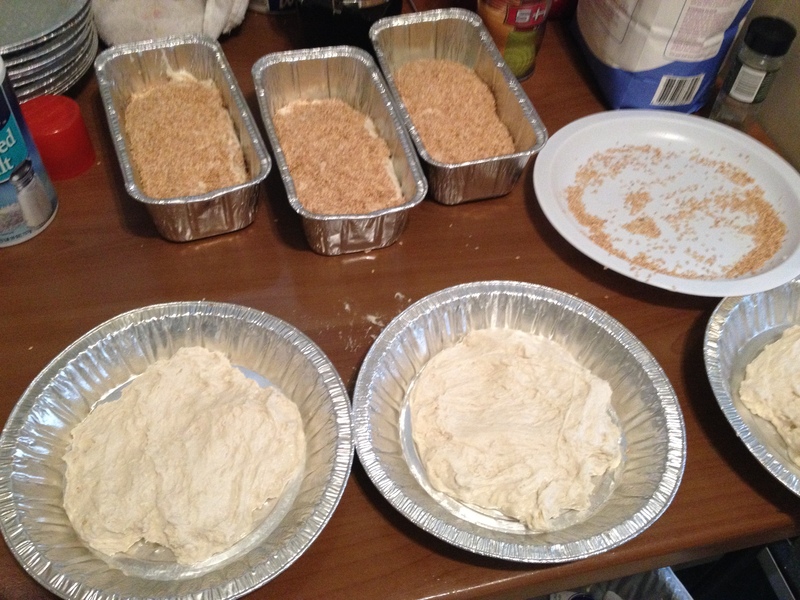 Gave the dough a quick knead to spread the cinnamon in the dough. It was sooo goood!! Gonna try it with some icin drizzled over top heated. → Heat mid winter..nah Ill pass said no mother ever..